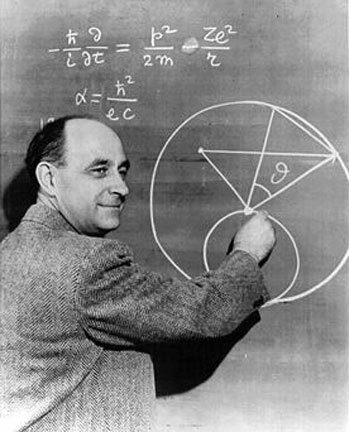 In New York City in 1940, Enrico Fermi continued to conduct nuclear fission experiments at Columbia University. Fermi's team, including Leo Szilard and Walter Zinn, confirmed that absorption of a neutron by a uranium nucleus can cause the nucleus to split into two nearly equal parts, releasing several neutrons and enormous amounts of energy. The potential for a self-sustaining nuclear chain reaction had become a strong possibility. With the 1938 discovery of nuclear fission, Germany had a two-year head start on developing nuclear energy; the Americans' fear was that the Nazis would shape it into a weapon of mass destruction. Germany also had in its grasp two materials critical to its development—heavy water and uranium. They were available in abundance only in Norway and Czechoslovakia, both under Nazi control. The emigré scientists urged the American scientific community to explore the potential for nuclear energy. They also urged caution and secrecy. The early fission experiments had been reported in the newspapers. Szilard urged American nuclear physicists not to publish their work. Germany must remain unaware of American progress. In August 1939, Szilard and fellow Hungarian physicists Eugene Wigner and Edward Teller urged Albert Einstein to sign a letter they had drafted for President Roosevelt. Einstein's letter noted that the work of Fermi and Szilard "leads me to expect that the element uranium may be turned into a new and important source of energy in the near future." President Roosevelt responded by appointing an Advisory Committee on Uranium. The Office of Scientific Research and Development was established on June 28, 1941, under the direction of Vannevar Bush, to develop atomic energy. On December 6, the day before the bombing of Pearl Harbor, Roosevelt authorized the Manhattan Engineering District. The decision to pursue the making of an atomic bomb had been made. Bush organized the nuclear fission effort—code-named the Metallurgical Project—into three parts. Harold Urey headed uranium isotope separation at Columbia. Ernest Lawrence, who had built the first practical cyclotron, supervised electro-magnetic separation of uranium-235 at Berkeley in California. Arthur Holly Compton, dean of physics at the University of Chicago, was put in charge of finding fissionable material at what would be called Chicago Pile 1 at the Metallurgical Laboratory, or Met Lab. The task of building a pile for self-sustaining nuclear reaction was assigned to Fermi, by then considered the "last universal scientist." He was the perfect man for the job. He had intense personal drive and combined experimental skill with theoretical talent. He was simple, direct, and had a passion for clarity. He once said, "If I could remember the names of all these particles, I'd be a botanist." Compton recalled his visit to Columbia to invite Fermi into the Met Lab project: Fermi "stepping to the blackboard... worked out... simply and directly, the equation from which could be calculated the critical size of a chain-reaction sphere." Although uranium and graphite were the materials used at Met Lab, an actual bomb would need pure fissionable materials—pure uranium-235 or plutonium. Work continued on elements beyond uranium and on heavier elements. In March 1940, Glenn Seaborg (later chairman of the Atomic Energy Commission) co-discovered the transuranic element 94, plutonium. When it was isolated in August 1942, its plutonium-239 isotope promised to be more fissionable than uranium. Compton, however, believed that electromagnetic separation of uranium-235, under study at Oak Ridge, would be the fastest route to building a bomb. The collaboration of refugee scientists, the American government and the American scientific community tackled the secret task of building the first atomic bomb. Once control of a self-sustaining nuclear chain reaction became a probability, other scientific disciplines were brought into the pile project. Joining the team of physicists were chemists—including Seaborg and Frank Spedding—biologists, engineers, metallurgists, chemical engineers and health researchers. Compton hired one of his protégés, Norman Hilberry, as administrative assistant to, among other duties, receive "all kicks intended for the project leader, and carry through all the unpleasant tasks from which the project leader wants to escape." The search for a safe and adequate site for the pilot plant led Compton to the Palos Hills Forest Preserve, nearly 30 miles southwest of Chicago. A 1,000-acre tract in the Argonne Forest area of the preserve was deemed appropriate—it was named Site A. Because of construction difficulties, however, it was impossible to build experimental piles there. Work on the first man-made atomic reactor was conducted at the University of Chicago. Space was found under the unused football stands of Stagg Field, in a converted squash-racquets court (the Soviets would later translate its name to "pumpkin field"). On everyone's mind was Germany's leadership in neutron research—and the need for utter secrecy. The race for the bomb had been joined. This is a report assembled in the 1970’s by Glenn Seaborg on his work at the Met Lab in the April 1942 to April 1943 period. See page 201 of the report for his personal account of how Plutonium was isolated by the microchemists at the Met Lab.